Our Guides To Cinephelia are the most important instructional videos you will find. From proper cinema etiquette to making romantic comedies, we create the most useful how-to guides you could possibly need. Bottom line, these videos will unquestionably improve your life. How do you behave when you go to the movies? We have absolutely no idea. We barely know you. But how should you behave when you go to the movies? The Bazura Project instructs you on proper cinema etiquette. In the latest Guide To Cinephelia, we help you keep a night out at the movies down to a sweet, manageable four figures. Our ever-popular-ish series of Bazura Project Guides To Cinephelia returns to look at proper Academy Awards etiquette. How do you navigate the red carpet? What do you do when the host makes a joke at your expense? Who are you wearing? Find out here. In a new Bazura Guide To Cinephelia, we have our own meet-cute with the codes and conventions of the romantic comedy. Watch this segment and you’ll either fall in love or learn how to make a romcom before dying alone. How do you prepare for a film festival? 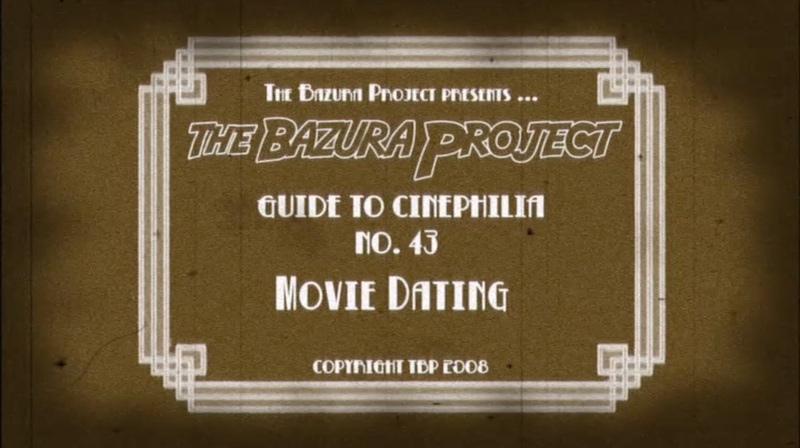 This Bazura Project Guide To Cinephelia will tell you everything you need to know, and quite a bit you certainly won’t. Last week, we told you everything you needed to know about Film Festival Preparation. This week we fill you in on the completely different subject of Film Festival Attendance in the latest Bazura Project Guide To Cinephelia. In an all-new Bazura Project Guide To Cinephelia, we look at the lives of film critics. Who are they? What do they do? How do you become one? In our latest Guide To Cinephelia, we look at how to take a date to the cinema. Trying to impress a prospective partner with your film choice? Hoping you can hide your awful taste in movies? This guide is for you.